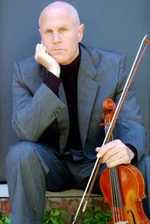 Sign up for Broadjam today to follow Gary Schnitzer, and be notified when they upload new stuff or update their news! If you enjoy instrumental accoustic music, just right for sitting by a fireside, in a rustic cafe, or for relaxing on your couch, then this CD is for you. 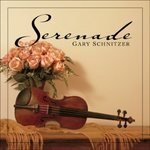 "Serenade" is a collection of love songs, folk songs, and religious tunes in a slightly rustic style with touches of Appalachia. 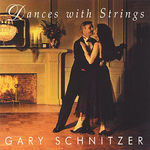 It features Gary Schnitzer on violin, along with his ensemble of accoustic guitars, bass, mandolin, and accordion. And a lush carpet of string harmonies interwoven throughout. It also has some jazz and cabaret styles in songs like "La Vie en Rose" and "The Sweetheart Tree". It ends with a haunting rendition of "Ashokan Farewell", which was used effectively in the PBS Ken Burns' Civil war series on TV. 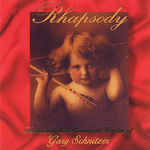 This lushly and colorfully packaged CD makes an endearing romantic or sentimental gift. 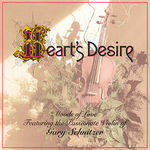 It is wonderful background music for relaxation, nostalgia, or romance.